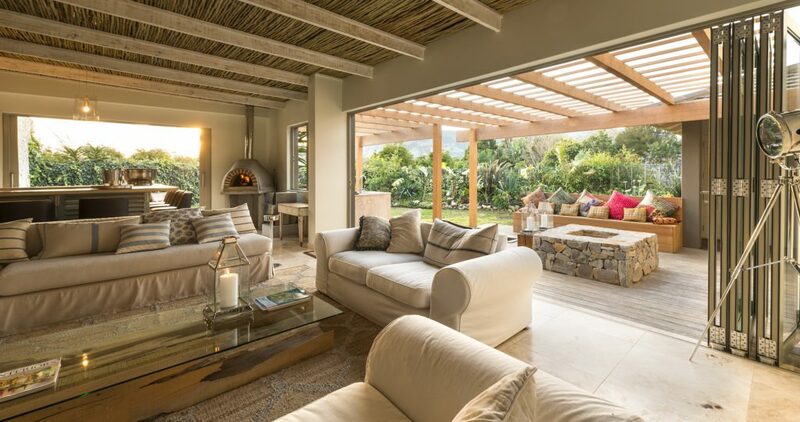 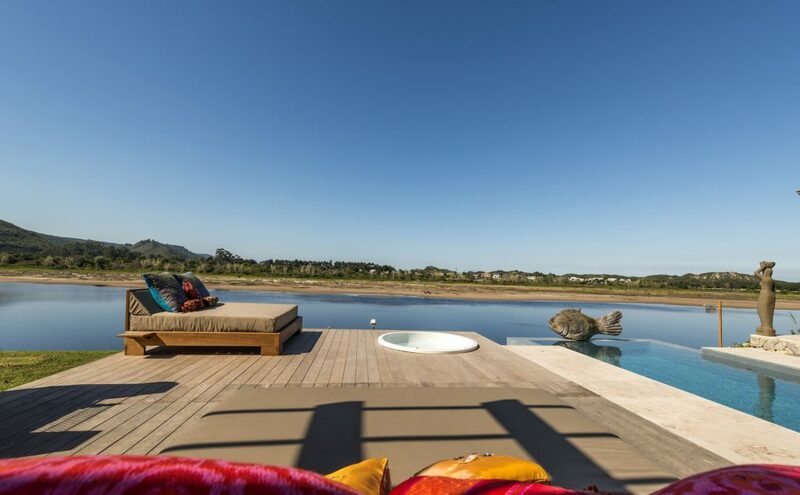 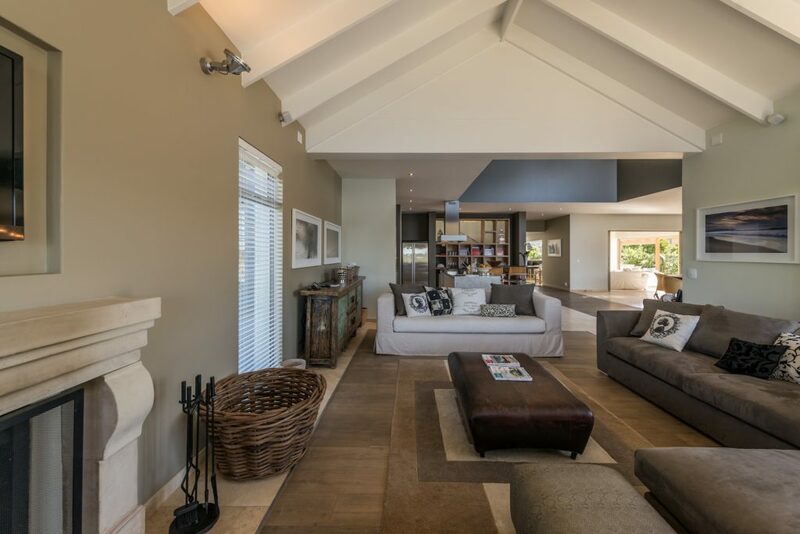 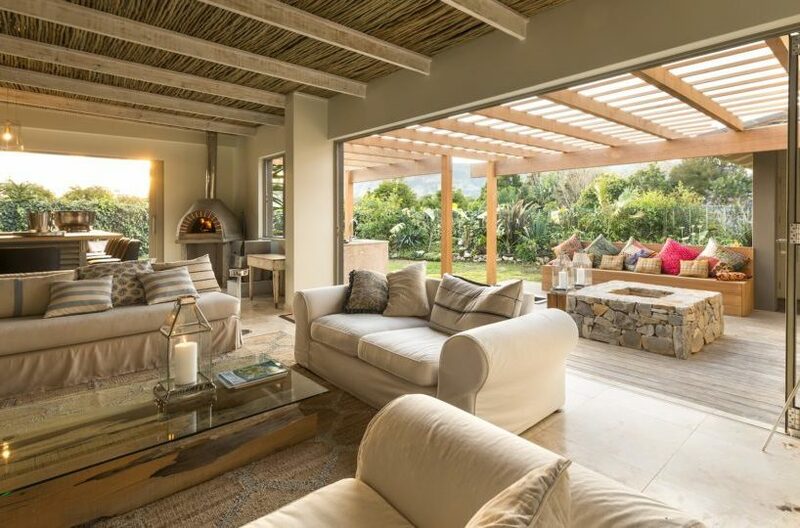 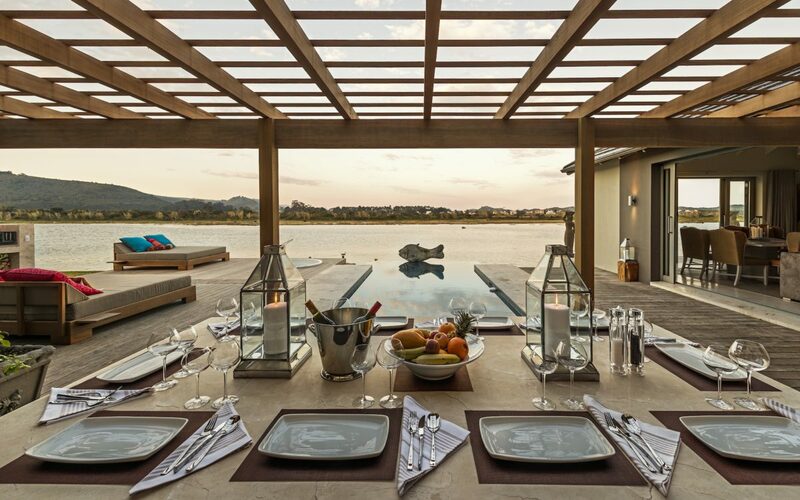 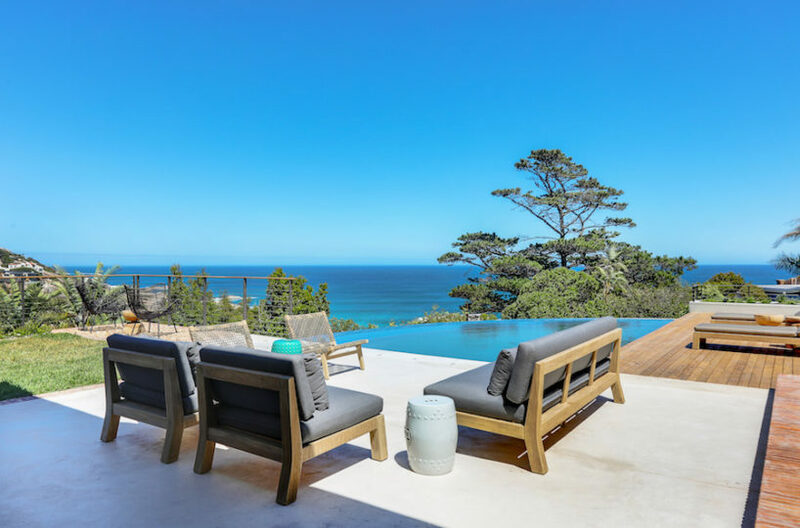 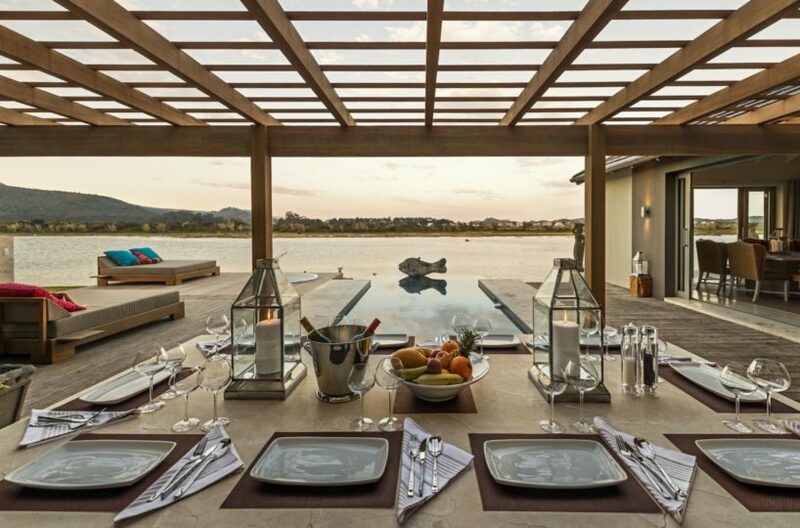 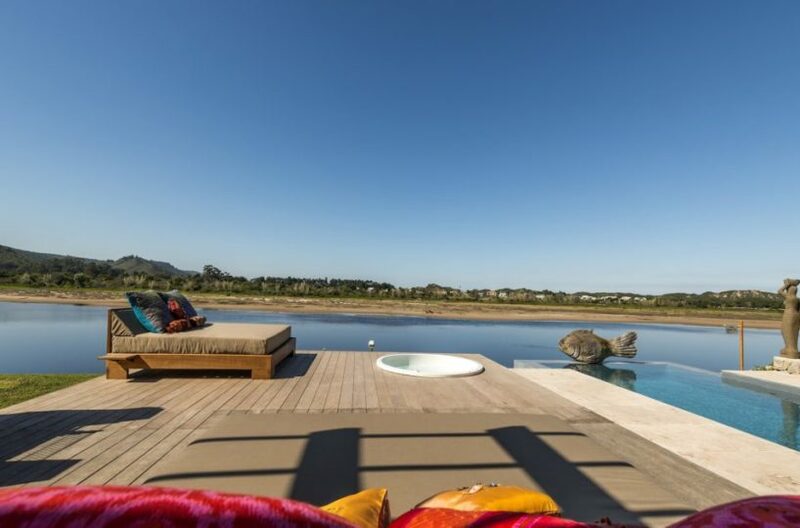 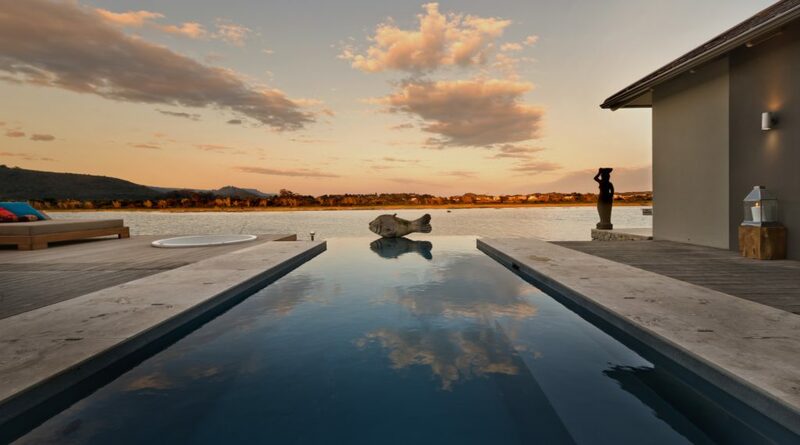 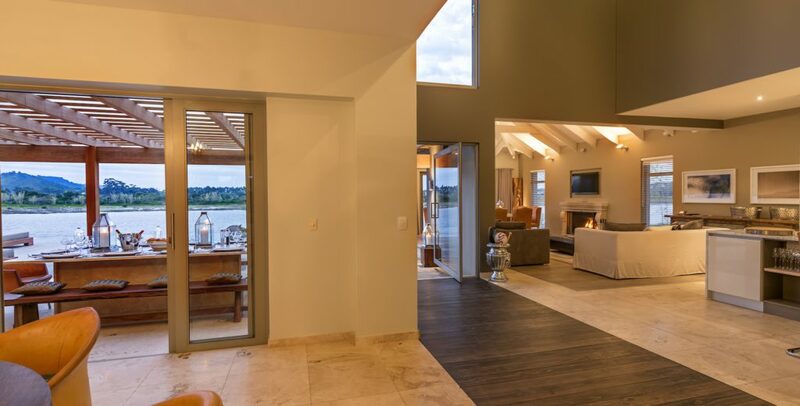 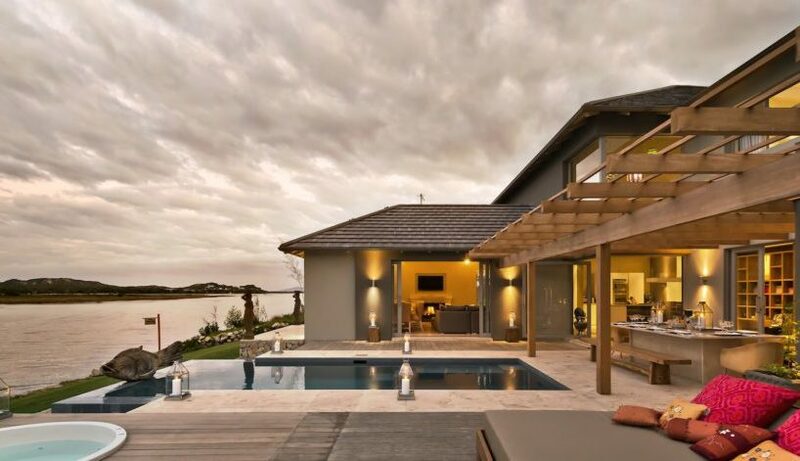 Lagoon Villa in Plettenberg Bay is situated on the tranquil Keurbooms Lagoon, with dazzling views that are sure to instantly relax you. 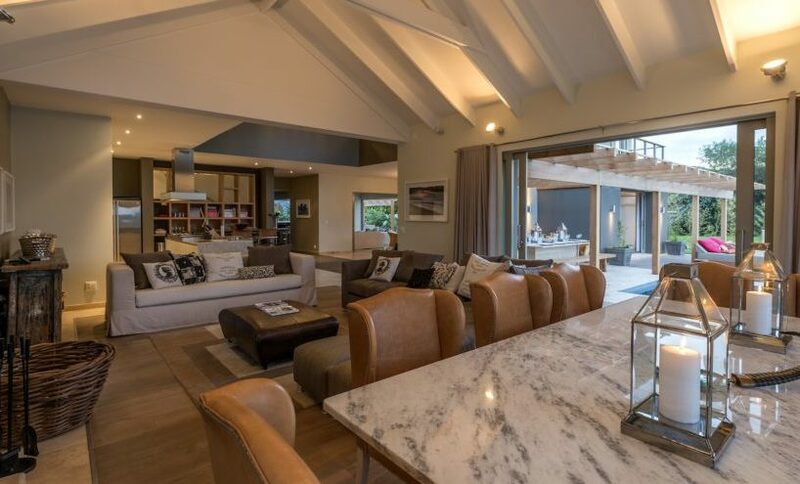 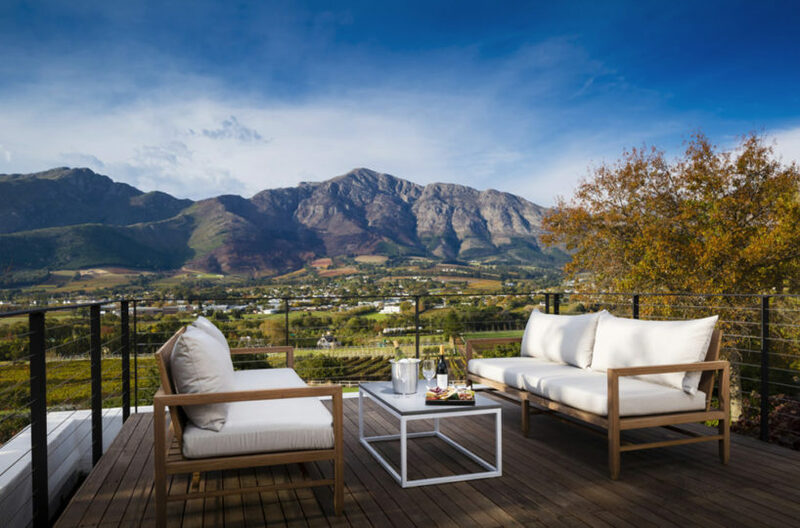 This exclusive 5 bedroom holiday home is the perfect destination for the whole family, with four luxurious double bedrooms and a kids room, each with their own unique design and flair. 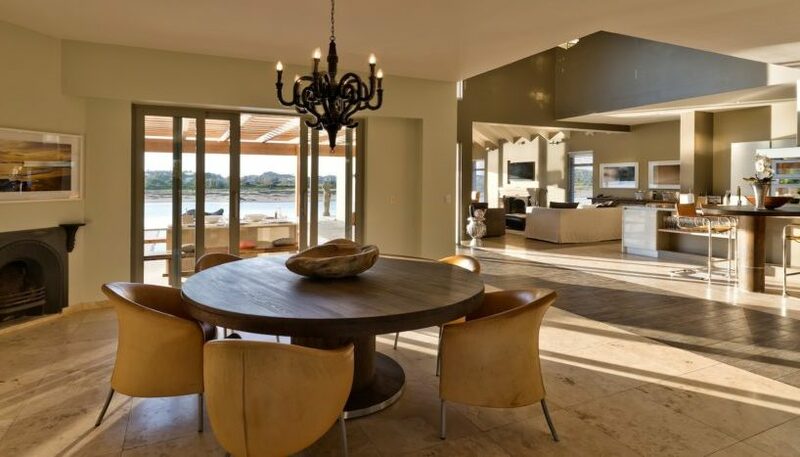 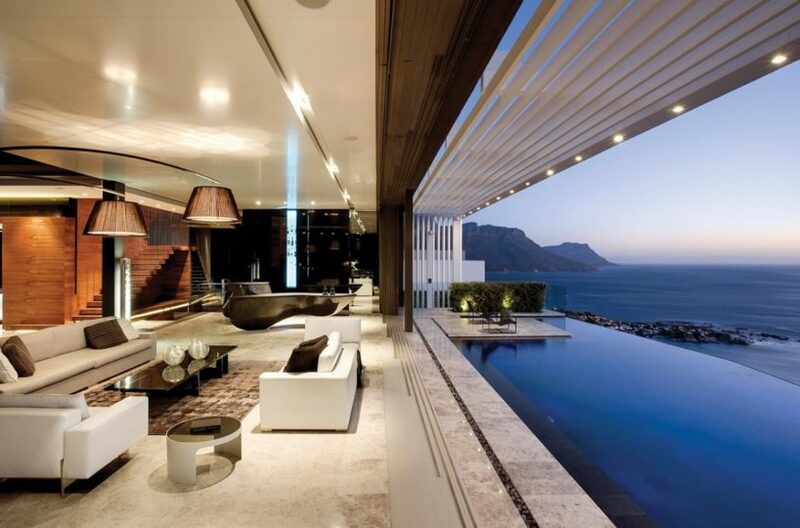 The open plan kitchen and lounge echoes the openness of the surroundings, with a lovely luxurious interior that uses elements from the beach and the sea. 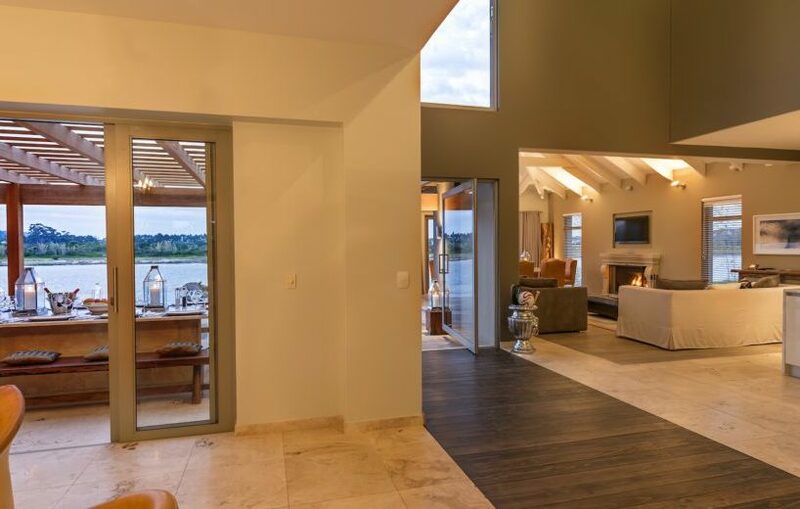 This is a home that will transport you to a quiet place – relax and watch as the worries of the world get washed away by the sweet sound of water on your doorstep. 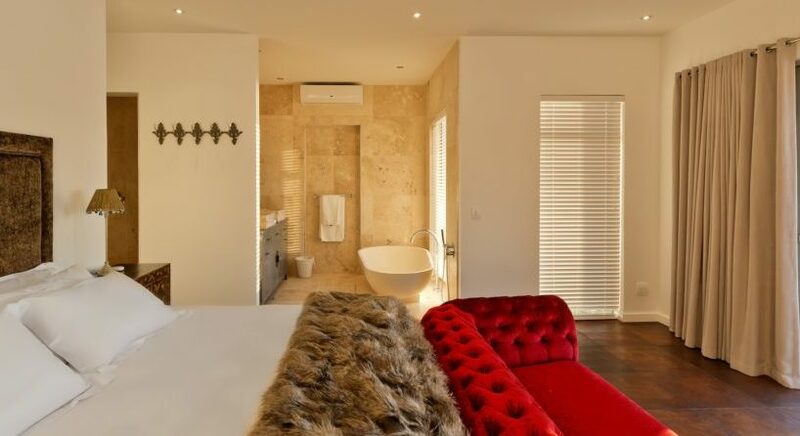 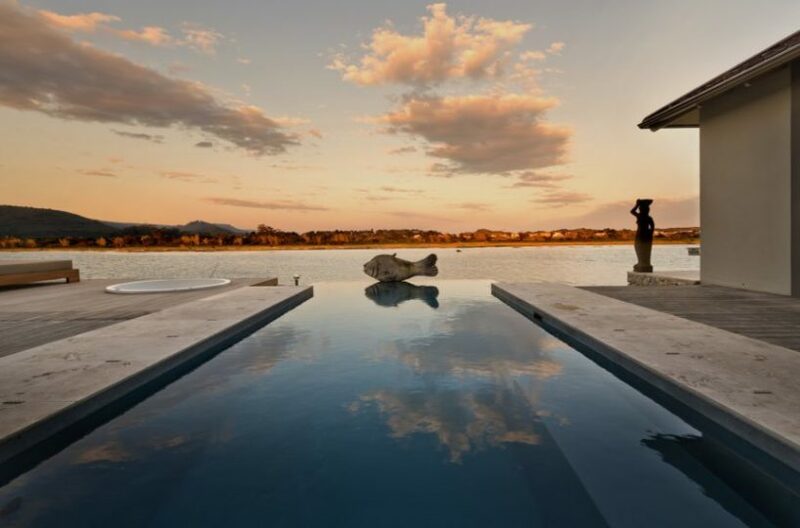 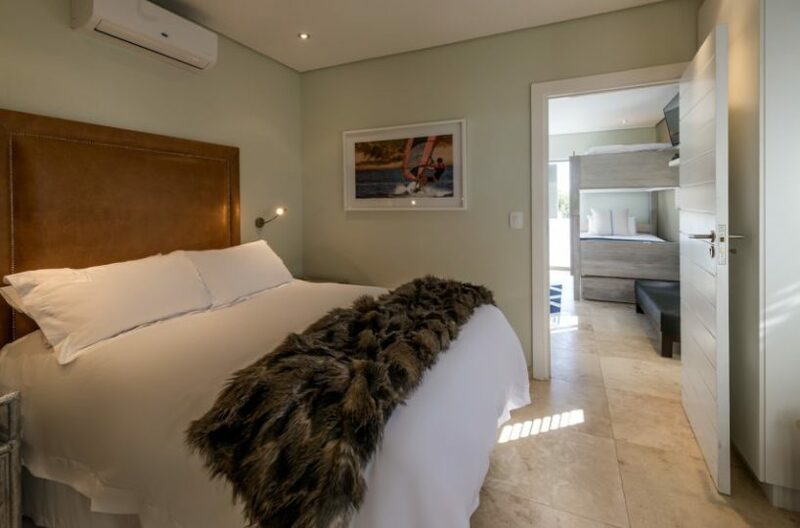 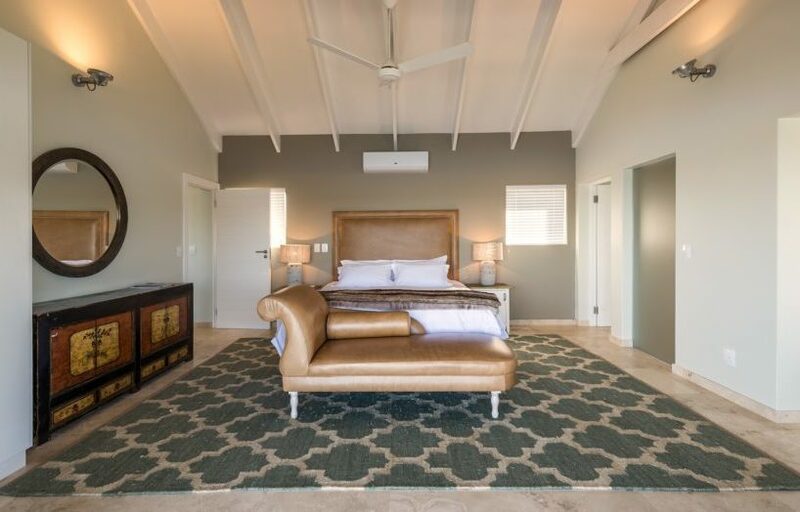 Facilities include a lovely pool, if the lagoon water is not for you, or a deep set bath in one of the elegant en suite bathrooms for you to submerge yourself in. 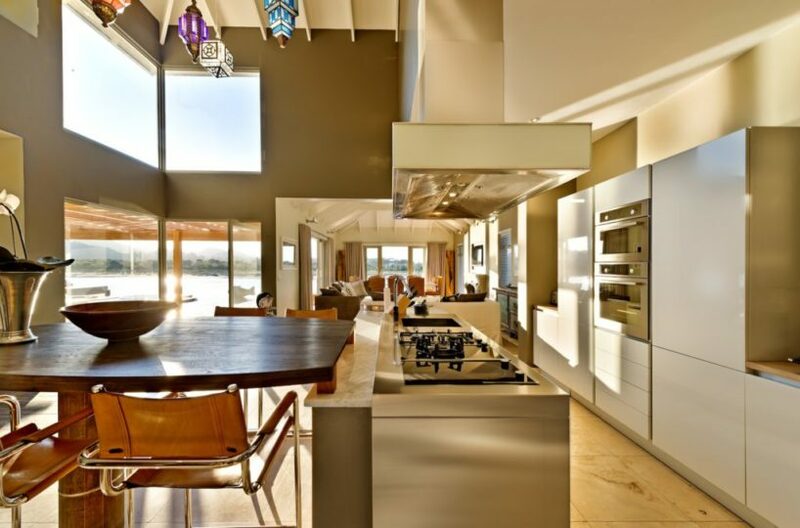 The fully fitted kitchen has all the essentials you need to prepare any meal and entertain any number of guests. 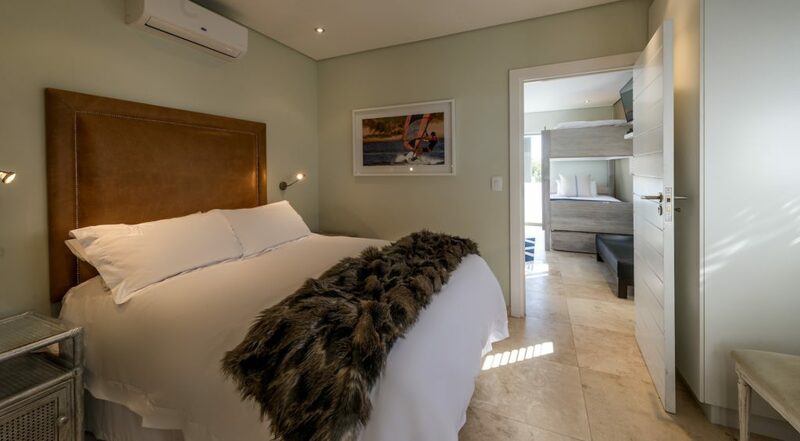 The home has five bedrooms, three of the rooms have king sized beds and one has a double bed. 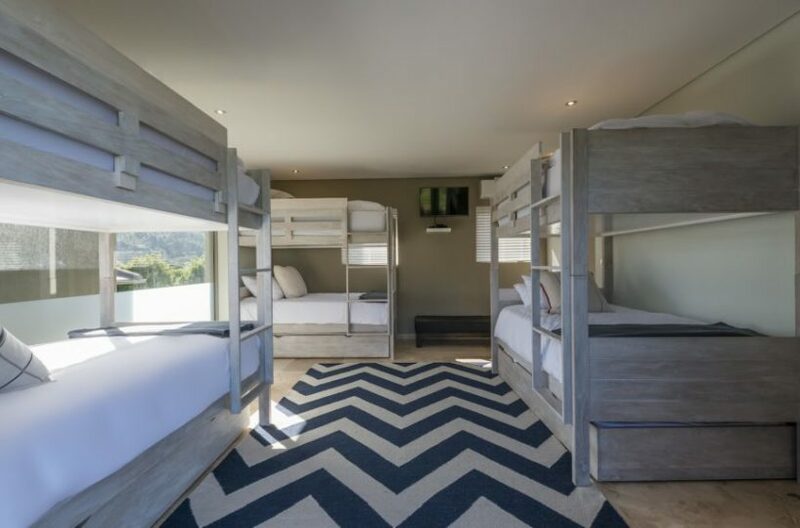 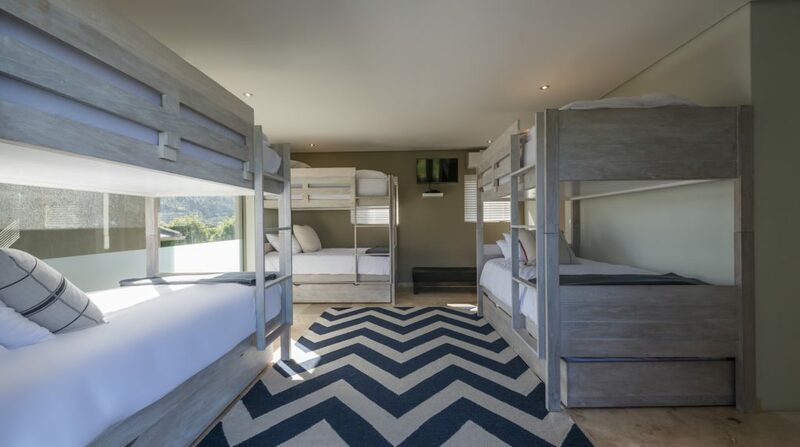 The fifth room is a kids’ room which has bunk beds and can sleep up to nine kids. 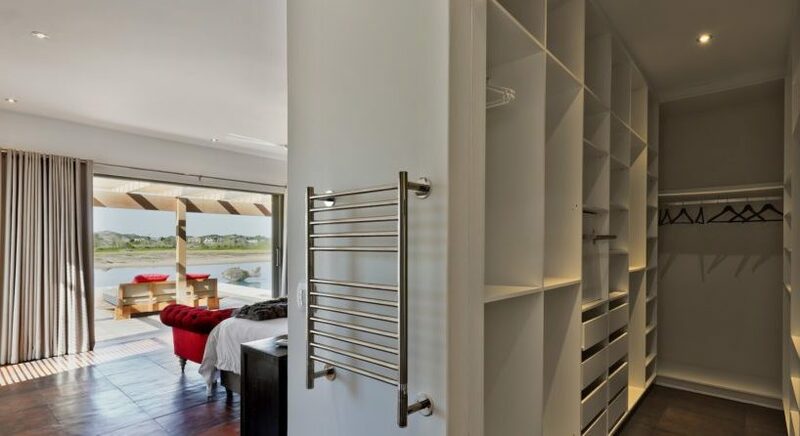 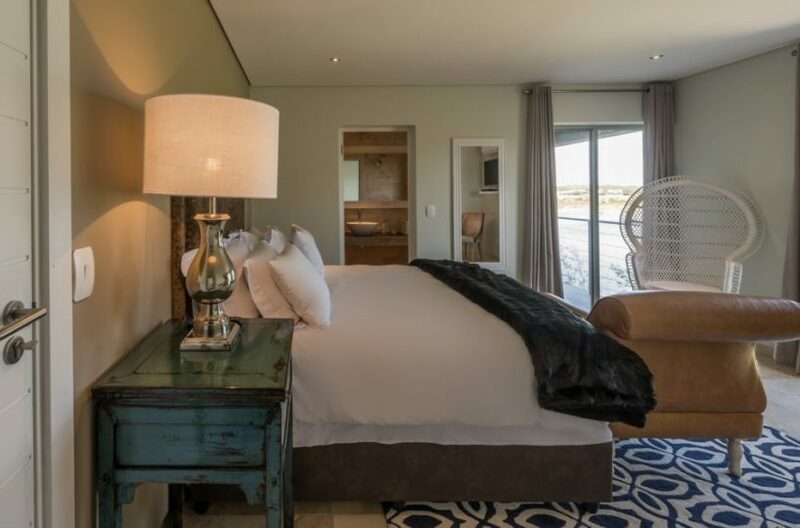 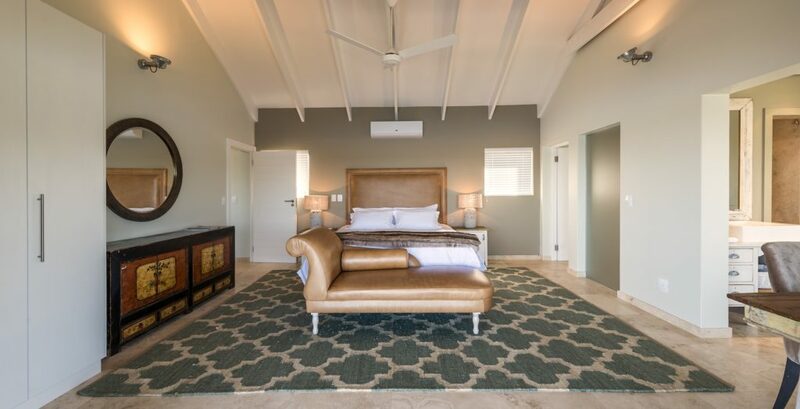 The master bedroom opens up onto the patio with absolutely breath taking views of the lagoon. 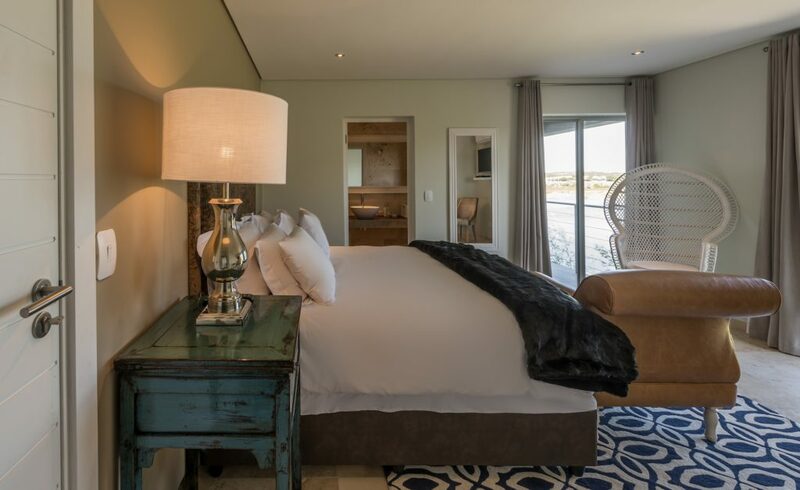 If you want to be close to nature and feel that holiday spirit in full swing, this is where you want to be!